Club Penguin Cheats by Mimo777 Club Penguin Cheats by Mimo777: Club Penguin Christmas Party FREE item... The Hornament Hat! Club Penguin Christmas Party FREE item... 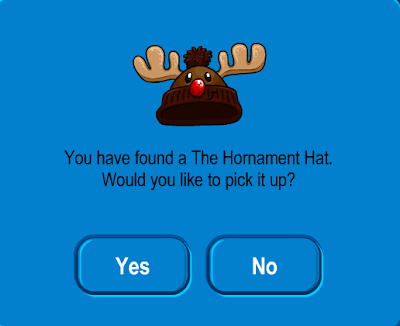 The Hornament Hat! The December 23rd new Club Penguin FREE item from the 12 Days of Free Gifts in the Forest is here! Now that's a phun hat, don't you think? The antlers are so cute when you dance. lol rudolph the red nosed hat.